Hi there！My name is Andrea Nicte Há ALVARADO MALDONADO. I'm from Mexico and I'm 27 years old. I've been studying Japanese for two years now and I'm very interested in Japanese culture. My hobbies are：swimming, reading, and writting. I enjoy outdoor activities and I love learning languages. I knew that one day I'd be able to travel to Japan and I can say that so far, It is one of the most wonderful experiences I've been on. I've made a lot of new friends, Japanese people are super kind. I share good memories with the people I work with and those I live with. The activities of Manyo park are always fun to do. Everyone is so hard-working and sweet. I hope to be very helpful and to contribute with something meaningful to the park. Hi！My name is Yulia, I'm 20 years old and I'm from Russia. I'm now studying at the Linguistics university in my home city Nizhny Novgorod. I study English and German and when I decided to learn one more laguage I chose Japanese, because I was really interested in Japanese anime. The more I learned the better I understood that Japanese history and curture are amazing. That's why I made a decision to visit Japan this summer. 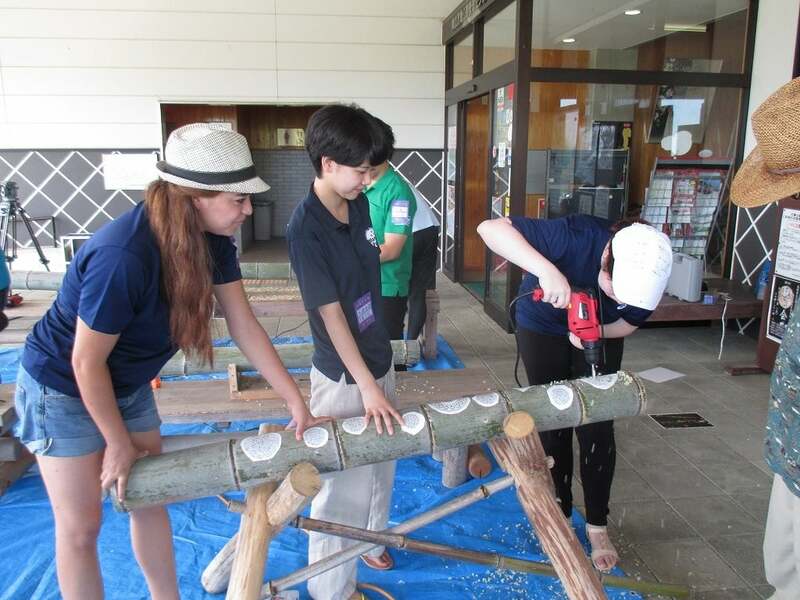 I wanted to see not only touristic spots in big cities, but also experience real Japanese life, so I decided to participate in a volunteer project. I really like the atmosphere here. The work we are doing is very interesting. We are taking care of the park water the flowers, prepare for different events and help the park stuff. Everyone is so nice that you feel here very comfortable. I hope to help with what I can and I'll try my best. We live in host families and it's also great, becouse Japanese life is very different from Russian, so it's great to see what it's like. We visit different events, for example Iwami kagura. I really enjoyed it！The city is very beautiful and peaceful, really different from Tokyo and my home city. Nature here is very beautiful. 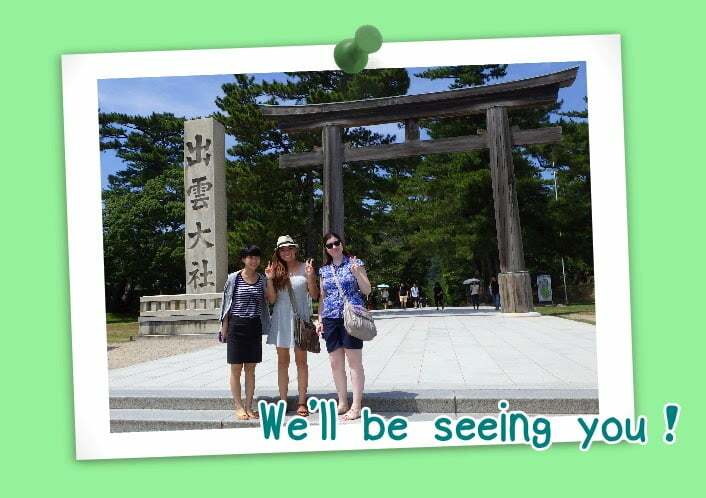 I hope to spend here wonderful time, have a lot of new friends and learn a lot about Japanese culture. 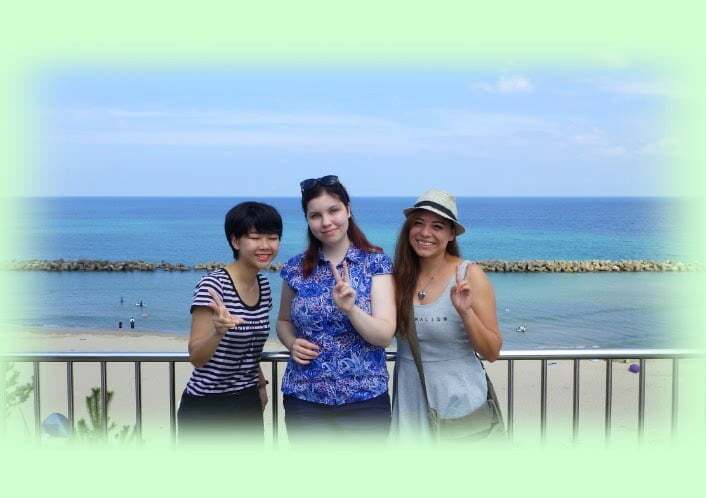 Coming to Japan was one of my greatest dreams and thanks to the volunteer work I was able to experience everyday life in Japan. I met the kindest people in the world. I learn more about Japanese culture, and their idiosyncrasy. I made beautiful memories that I will keep them in my heart forever. I will be always thankful to all the people that received me in their homes and treat me like a member of their families. Also I´m thankful to Nomurasan for always be a great boss and a good friend. Volunteer work is the best way to really know people and its culture and it happened to be one of the best experiences of my life. El venir a japón era uno de mis sueños más anhelados y gracias al trabajo de voluntariado, tuve la oportunidad de experimentar el estilo de vida real de los japoneses. Aquí conocí a las personas más amables del mundo y aprendí mucho más acerca de su cultura y forma de pensar. De aquí me llevo momentos hermosos que llevaré por siempre en mi corazón. Siempre estaré agradecida con las familias que me recibieron en su hogar y me trataron como un miembro más de la familia. También agradezco al señor Nomura por ser un excelente jefe y un buen amigo. El trabajo de voluntariado es la mejor manera de conocer a las personas junto con su cultura, y resultó ser la mejor experiencia de mi vida. Эти 3 недели для меня пролетели незаметно. Работа приносила удовольствие, а общение с разными людьми дало мне очень многое: понимание, что все мы, несмотря на то, что очень разные, можем найти общий язык друг с другом. Именно в этом месте я поняла, на что способна и сколькому всему мне ещё предстоит научиться. Этот проект дал мне мотивацию продолжать учить японский язык, познавать японскую культуру и много-много учиться. Порой было трудно, но всегда весело. Всегда были люди, готовые поддержать и помочь и я хочу сказать им всем большое спасибо. Большое спасибо семьям, которые приютили нас, были добры к нам и многому меня научили. Спасибо работникам парка за доброту и поддержку. И конечно спасибо нашей маленькой волонтёрской команде: Андрее и нашему лидеру, Анне. За это время мы стали хорошими друзьями, многому друг у друга научились, поделились культурами наших стран и просто веселились. Спасибо ещё раз всем, я надеюсь мы ещё увидимся!